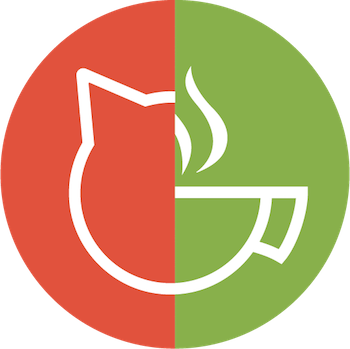 Prague's oldest cat cafe is yet another beautiful place to sip coffee while enjoying the presence of furry felines. 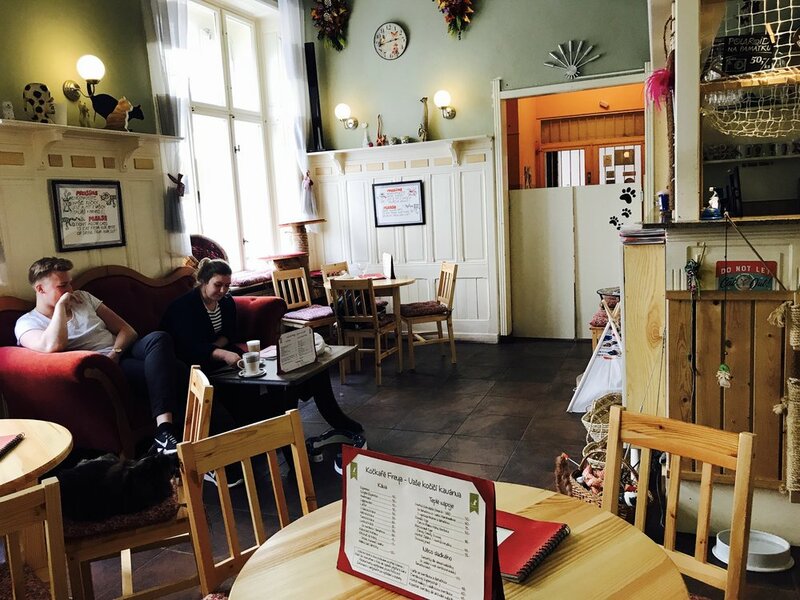 Located in the Zizkov neighborhood, a short distance from the main train station and Jiriho Podebrad metro stop, I felt right at home Kockafe Freya as soon as I stepped inside. The set up is stylish and cozy, with just enough space between tables to feel communal, yet private for conversation. I was coffee-ed out by the time I arrived at 4 pm and being a Friday afternoon decided to order a white wine and some nibbles for the super low price of 80 crowns ($3.65 USD). As I listened to indie music, the cafe's seven cats (all rescues) curiously and quietly roamed the room switching places for their next nap which is when I noticed the adorable merchandise featuring these kitty celebrities.